An easy journey across the agricultural plain dominated by the Po, the great river you can cross on a small ferry, just like the ancient pilgrims. 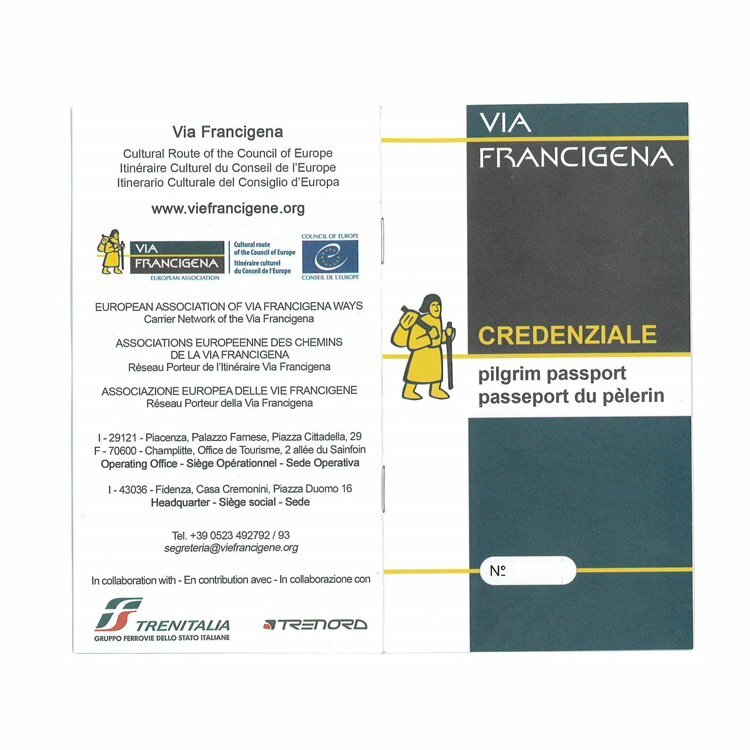 You will leave from Pavia, one of the most beautiful surprises of the Via Francigena, which is guardian to the stratified memory of the peoples who have inhabited it. Romans and Longobards prepared the ground for medieval town development, which gave shape to a splendid old town centre, in which some extraordinary religious buildings stand out. The agricultural plain is the protagonist of the walk as far as the Transitum Padi, the crossing point over the Po that leads to Emilia. Are you ready to enter one of the mythical areas of Italian food and wine, home of the Prosciutto di Parma, the culatello di Zibello, and Parmigiano Reggiano? Don’t eat too much, however, because your walk still has beautiful surprises in store for you, such as the Cistercian abbey of Chiaravalle della Colomba, and the cathedral of Fidenza, whose bas-reliefs illustrate the history of the pilgrimage. Enjoy the silence in the cloisters of the abbey of Chiaravalle della Colomba. Individual arrival in Pavia, the medieval town with its many artistic treasures: you will be able to discover the marvels of the Roman Age, admire the sculpted altar of the Basilica di San Pietro and walk beneath the medieval towers. But the ancient beauty of Pavia conceals a young spirit, thanks to its prestigious university: the old town centre is always crowded with students, and Piazza della Vittoria is the favourite meeting place for an aperitif after lessons. We recommend you imitate them, staying out late to enjoy the illuminated square. The first leg will take you across the flood plain of the Basso Pavese, with its typical flood terraces as far as Santa Cristina, a stopping place of Sigerico which takes its name from an ancient abbey dedicated to the Saint, unfortunately destroyed. Along your way you will come to the little Chiesa di San Giacomo, which will surprise you with the simple beauty of the façade. If you are lucky enough to be able to visit the interior, do not miss the cycle of frescoes dedicated to the Saint. Once in Belgioioso, take the train back to Pavia. A morning trasfer will take you from Pavia to Orio Litta where your walk starts. Today you will tackle the Transitum Padi, the ford of Sigerico. You will be ferried across by an expert boatman to the other bank of the Po to enter Emilia Romagna, a land of great hospitality famous for its food and wine delicacies. Along provincial roads and cycle paths you will arrive in Piacenza. Here you will be able to taste the famous charcuterie from Piacenza, washed down with a glass of Gutturnio wine, but do not forget that Piacenza also has a splendid basilica: after admiring its octagonal tower, pass through the Porta del Paradiso to discover the Romanesque interiors of the church and the Seventeenth century frescoes. 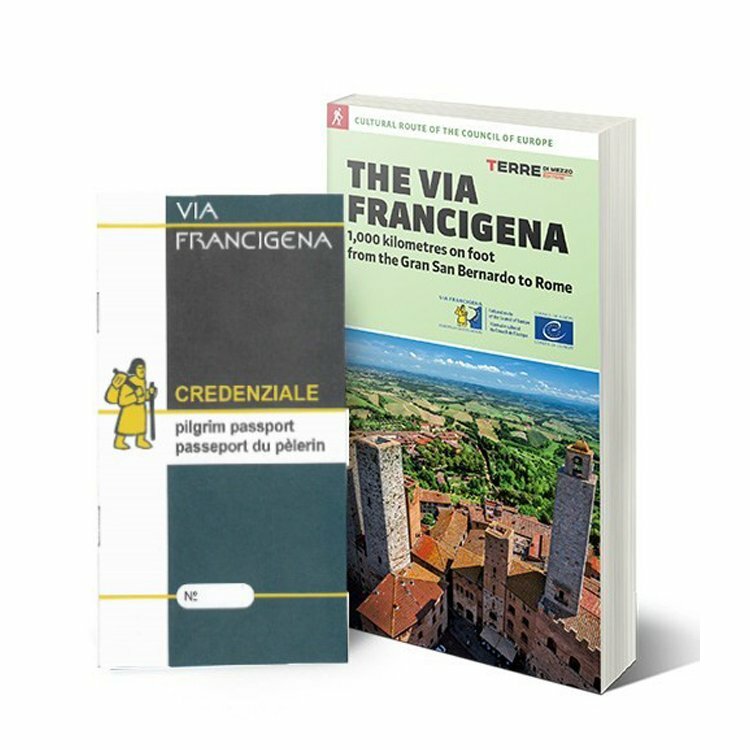 After a first section along the Via Emilia, today’s leg will take you along a series of country roads towards Fiorenzuola, a town rich in history, with churches and buildings that are worth a visit: you will be able to admire the façade of the church of San Fiorenzo and the oratory of Caravaggio. If you think that this stage may be too long for you too walk, don’t worry: you can make it shorter by taking brief stretches by public transport. Today’s quiet, flat leg will take you to Fidenza, where the walk will end in the beautiful piazza del Duomo: along the way do not miss a visit of the Cistercian abbey of Chiaravalle della Colomba. If you aren’t yet ready to reach your destination point, you can stand in thought for a few minutes in the silence of the cloisters, admiring the carved wooden interiors of the church before continuing your walk. If you like folk traditions, get someone to tell you the story dedicated to the ciribiciaccola, the name of the tower of the Abbey in dialect. The Agritourism is surrounded by green spaces, offers comfortable rooms recently restructured. These have free Wifi, TV and air conditioning/heating. The restaurant offers traditional and high quality courses. Breakfast is normal. The Astoria Hotel is housed in the center of Fidenza, close to the train station. Staff is kind and helpful. Location is clean and comfortable . Rooms are quiet and equipped of air conditioning, TV, free WiFi and direct phone. Breakfast is rich and various. From Bergamo-Orio al Serio (BGY), you can get to either Milano Centrale railway station or to Bergamo railway station by bus. From there, you can get to Pavia by train (with change in Milano Lambrate, if you are travelling from Bergamo). Check bus connections from Bergamo Orio al Serio (BGY) on http://www.orioaeroporto.it/en/bus/. From Milano airports (MXP, LIN), get to the central railway station in Milano, and get a direct train to Pavia. From Turin airport (TRN) and from Verona airport (VRN), get to the closest railway station, from where you can reach Pavia by train, with change in Milano. On departure from Fidenza, you can reach Bologna, Milano, Bergamo, Turin and Verona by train (direct if travelling from either Bologna or Milano). There are direct busses running from Milano Centrale train station to Bergamo Orio al Serio Airport (BGY), as well.